Frugal living blogs hold one of the top places in internet traffic. The global economy is still staggering after over a decade of struggle, and many people are trying to cut costs in as many ways as possible. Here are some of the top frugal living blogs on the internet, with tens of millions of readers and contributors. Back in 2004, a young couple took out nearly $40,000 in debt to start an insurance brokerage business. By the middle of 2007, they had paid off the entire debt. They had two children, continued to pay off their mortgage, and are well on the way to retiring in their 40s. This blog goes a long way in explaining how they do it, even on how to use credit cards effectively. Plus, this family does not live an austere lifestyle. They take vacations and have fun. One of the best tenants she espouses is that of avoiding lifestyle inflation, which often accompanies an increase in income. Rachel Jonat has worked, with her husband, to eliminate over $60,000 in debt in just one year. And, they did this without a car. Being committed to a minimalist lifestyle, the Jonat’s share their techniques for uncluttered, happy living. One of the tenants they live by really resonates with me: “Every dollar is a choice. How I earn it and spend it are up to me.” In one of her more recent posts, she comments about the problems she has had with browsing. She said it makes her want to buy more. For a change from the more austere lifestyle, you may consider the Thrifty Nifty Mommy. You will get a lot of great tips for saving money while you shop. But perhaps the most useful aspects of this website are the product reviews and free products. You will find everything from great buys on jewelry to blog entries. Readers often contribute their own finds for discounts and giveaways. The creator of this blog has had experiences very similar to my own. She was a Creative Director at an important advertisement agency, and, upon turning 40, was suddenly unemployable. She took her training and skills and started her own freelance agency, and has blogged extensively about her experiences. On her blog, you will find recipes that spice up regular grocery lists without adding a lot of expense. You will find links to great sales and freebies, and tips for finding great deals with and without coupons. Written by Ruth Soukup, we get insights on saving money from a former self-confessed shopaholic. On her blog, you will find recipes for the busy mom, cleaning tips, suggestions for making holidays easy, yet memorable, and simple DIY projects. She very cleverly explains how she transitions from the “shopper’s high” to a “saver’s high”, getting the family finances in control in the meantime. This is one of the more diverse frugal living websites. While many frugal living blogs are written by people who have lost their jobs, choose to be stay-at-home moms, or are freelancers, The Broke Mom’s Guide to Everything is written by a working mom with a full-time job. She shares her tips for saving money and paying off debt while still enjoying “new” things, now and again. She covers everything from cleaning out your closets and making money at consignment stores, to a rundown of local music festivals and where you can get free entertainment. You will also get links to sales, discounts, and freebies. This is another great blog site where you can get sales, discounts, and freebies. You can even get advice on how to hire a real estate agent who will help you find a house within your budget. The author of this frugal living blog, Kimberlee, focuses on living a joy-filled life. She offers tips on parenting, entertainment, meal planning, and other techniques for saving money as she has gone through life. One of her more popular posts, recently, was how to save over $1000 each month. Another popular blog was how to eat for about $25 a week. This website was started in 2007, when the author, Melody Hansen, and her husband revamped their entire budget in accordance with the Total Money Makeover by Dave Ramsey. Their experience has been that they were able to pay off $45,000 worth of debt in just a year. With this blog, Melody shares her insights on how to stay in shape, eat healthy foods, and save money shopping. Besides great tips and tricks, she shares links to sales, discounts, and freebies. 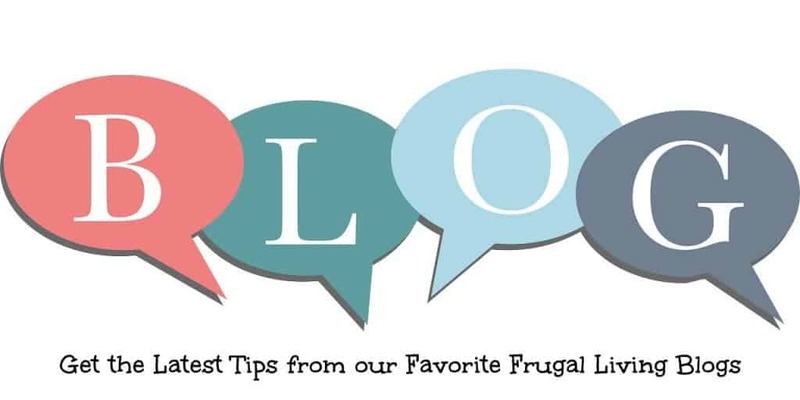 Up until now, I have focused on blogs that give advice on living frugally. This blog is that, but it also includes couponing. In fact, besides the links to sales and discounts, why has an entire section just on coupons. You find out where the most current coupons are, and how to get the best out of your couponing efforts. Charlotte, the author of this blog, works full time and doesn’t want to waste a dime of her income. There are many more frugal living blogs available on the internet. If you want specific information, you can enter the keyword that specifically interests you. For example, you can isolate blogs that deal specifically with gardening or shopping consignment stores. You can, literally, save thousands of dollars a year with frugal living precepts.